The county junior team completed their fixtures on 1st December with a visit to BATTS, Harlow. After the first weekend they were lying at the foot of the table but they succeeded in leap frogging into fifth place winning against Oxfordshire (6-4) and Berkshire (7-3), drawing against Sussex III and losing to the division title winners Surrey II. The title winners were almost thrown into confusion in their opening two matches when Joe Peckham had the best win of his career defeating the England No. 51 junior, Angus Norman, 11-7, 7-11, 11-6, 11-4 whilst Ben Reddy just lost out 11-9 in the fifth to England No. 133 Henry Maric-Murray. 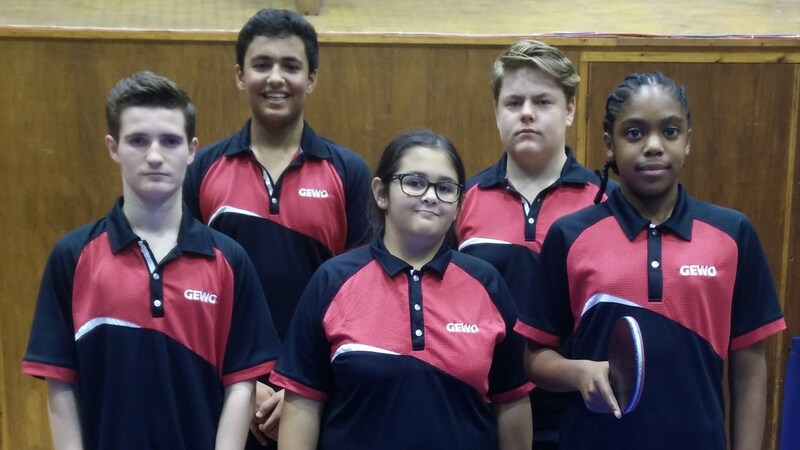 Despite beating Oxfordshire, the team of Shanielly Edwards, Sirona McLerie, Oliver Horswell, Ben Reddy and Joe Peckham finished just one point behind. Jamie Burt played in the first round of matches at Earls Colne and won two out of his six matches.